Built by CAF USA (Construcciones y Auxiliar de Ferrocarrilesas) in Elmira Heights, NY in 2014 and numbered 61031. 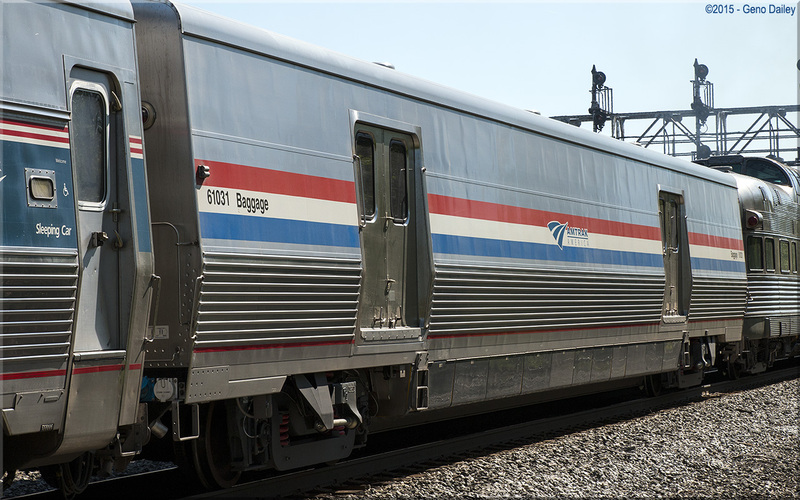 These cars were built to replace Heritage Baggage cars used systemwide and are so far being delivered in Amtrak's classic Phase III paint scheme while sporting the current Amtrak "Travelmark" Logo. Historical information about this car provided by www.amtrakbythenumbers.com.